The scientific program will run over four full days starting with plenaries at 9:00 in the mornings. 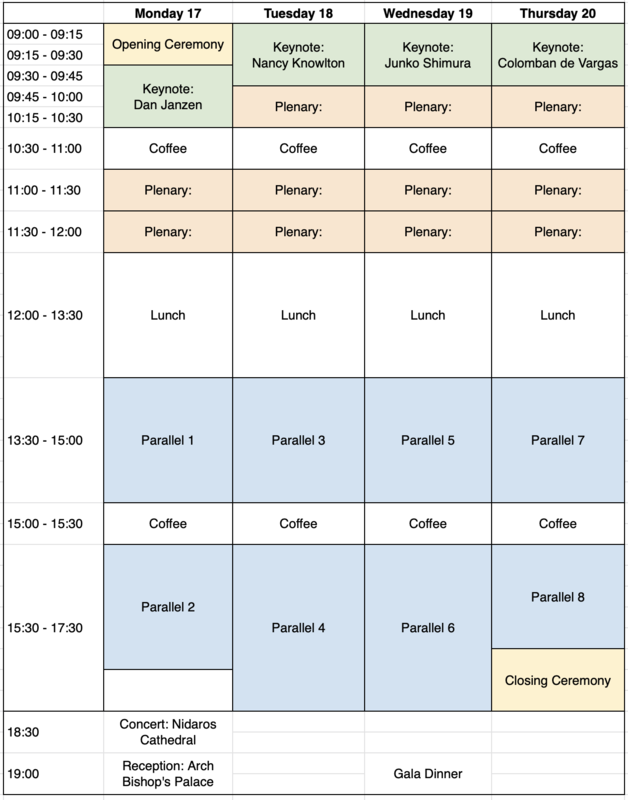 Parallel sessions will start after lunch and run until 17:00 or 17:30. For a list of invited plenary speakers see here: Plenary speakers iBOL 2019. Please revisit this page for more information and a detailed program at a later stage.